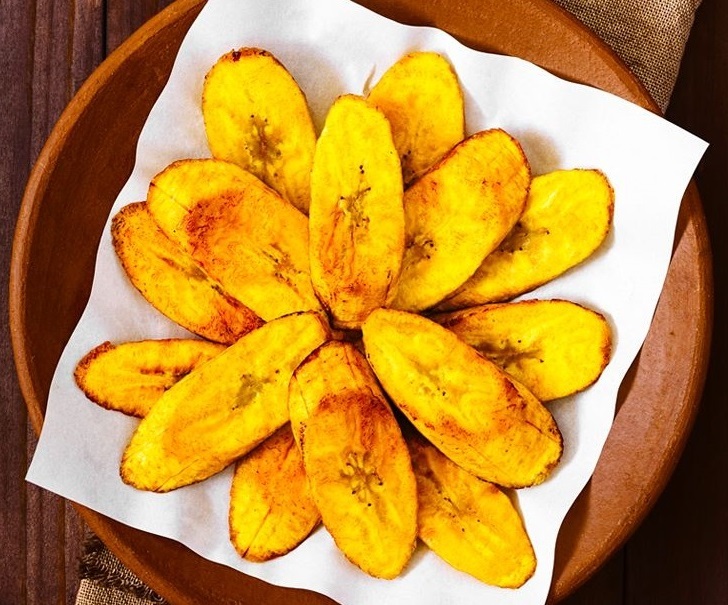 The key to an excellent plate of Fried Ripe Plantains is to ensure that the plantains are at the right degree of ripeness. The skin should be almost black or in some cases, have a dull yellow color with patches of black. The riper the plantain, the sweeter it is and that is why fried ripe plantains are such a big hit with West Indians and non-West Indians. Ripe plantains peel easily and cook up in no time. 1. In a large frying pan, heat oil over medium heat. 2. Peel the plantains and cut into ½ inch thick slices. Add to the frying pan. Cook on each side until golden brown, about 2 - 3 minutes. Remove from the oil to a plate covered with a paper towel to remove excess grease. Sprinkle with a little salt, if desired. 3. Serve immediately as a snack or side dish.